3D-Printing Growth: "Moore's Law Doesn't Apply"
Consumer 3D-printing growth dominates much of the technology discussion lately—for better and, perhaps, for worse at times. Every day we see more applications (3D-printed ice cream, anyone? ), and 3D printers are now appearing at The Home Depot. Even Amazon is getting on board with a new 3D marketplace. This is all fantastic news. But we must also keep in mind that 3D-printing growth as an industry requires incredible commitment and investment. This is especially true for its potential sweet spot as a substantial player with product and industrial manufacturing. Printing your own plastic figurine is great, but printing an entirely new part—to be put in actual use—on demand in minutes instead of hours is a game changer. The technology industry has become pretty accustomed to rapid acceleration of performance. For the 3D-printing industry, the reality is much different. One major hurdle is scalability, but it is improving. In the somewhat recent history of 3D printing, the time it took to print something was a function of its volume. So, for example, a cube with one-inch sides would take one hour to print, a cube with two-inch sides would take eight times as long to print, and another cube with three-inch sides would take 64 hours to print. This remains true for most desktop FDM-type machines, but with other technologies such as PolyJet and DLP resin systems, these rates are speeding up dramatically. The growth and continuous improvement of 3D printing is unstoppable, even if on a different scale and timeline. 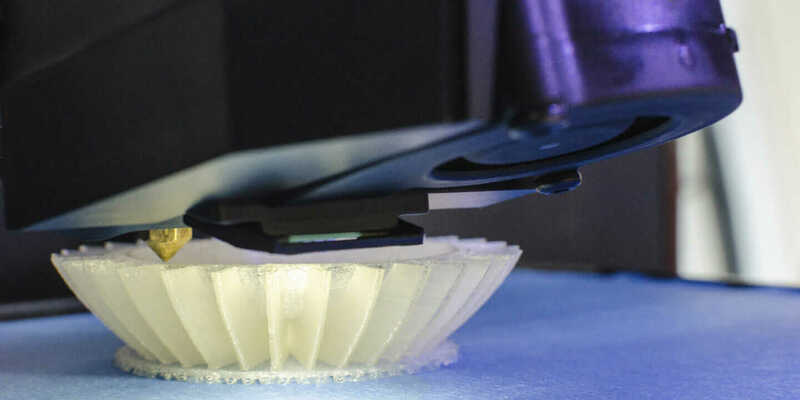 The current limitations—such as speed, materials, surface finish, accuracy, build volume, and more—will be overcome in the next decade, and 3D printing will continue its penetration in production. Eventually, it will establish itself as the process for complex, low-volume, high-value, highly customizable products, and it will coexist with subtractive, becoming one more tool in the manufacturing toolbox. With these examples and numbers in mind, it’s an exciting time for 3D-printing growth. Unlike hardware and software, however, it will be slow, steady, and experimental that wins the race.